Singapore is my no.1 favourite travel destination in the world because it’s such a vibrant, tropical city with hot humid weather all year round and is one of the best places for eating and shopping. It’s been 3 years since I last went and I recently got back from a week long trip with a couple friends at the end of October. I thought I would share some of the things I got while I was out there and also some notable shopping tips if you’re planning a trip to Singapore. If you spend over SGD100, always ensure you ask if you can get tax refund at the till when paying. (This is known as GST refund and is 7% of your purchase price). They will need to see your passport so make sure you carry this around with you. They will give you another receipt which states how much you can claim back at the airport – keep hold of this until you get to departures at Changi Airport and you can scan them in to claim the costs back either straight to your card or in cash. If you are buying from luxury brands, beware tax refund is slightly lower. I enquired at Dior and it was 5.5% GST. If you are based in Europe/UK – luxury shopping from designer brands such as Dior, Chanel, LV, Gucci etc is NOT cheaper in Asia even with tax refund. It is still significantly more and I do not recommend buying at Singapore Changi Airport either. (I believe it’s also priced higher than the USA too, but don’t quote me on that. However if you are based in Australia/NZ, then yes they will be cheaper). Western beauty brands such as Estee Lauder, YSL, Lancome, L’oreal, Maybelline etc – both drugstore and high end is typically more expensive or the same price as compared in UK/Europe. I would suggest avoiding these brands if you can get them in your own country, unless they are Asia-exclusive products. 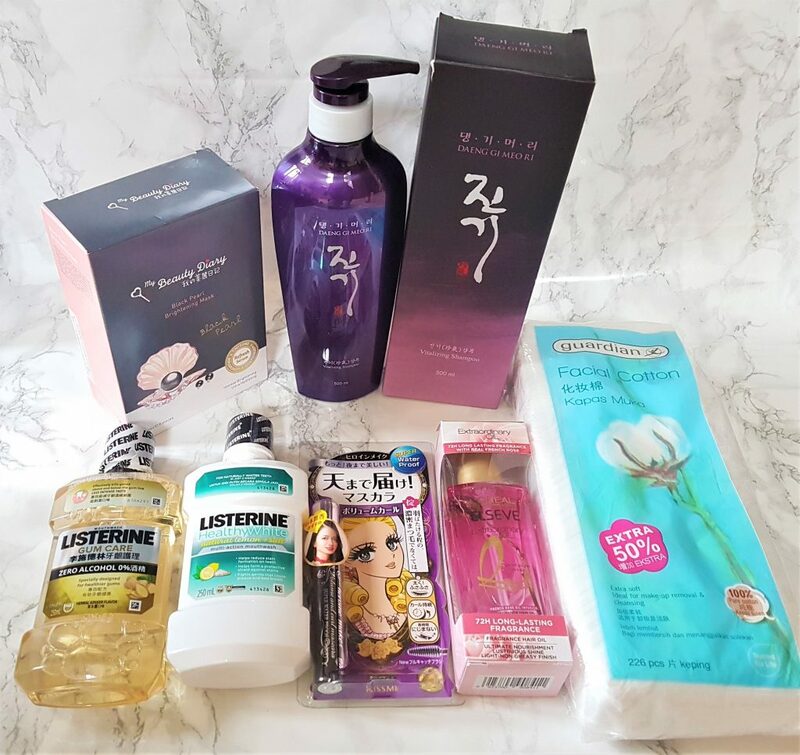 Singapore is great for buying Japanese and Korean beauty products – the markup is usually only marginal and if you aren’t going to Korea or Japan, it’s worth picking them up here. 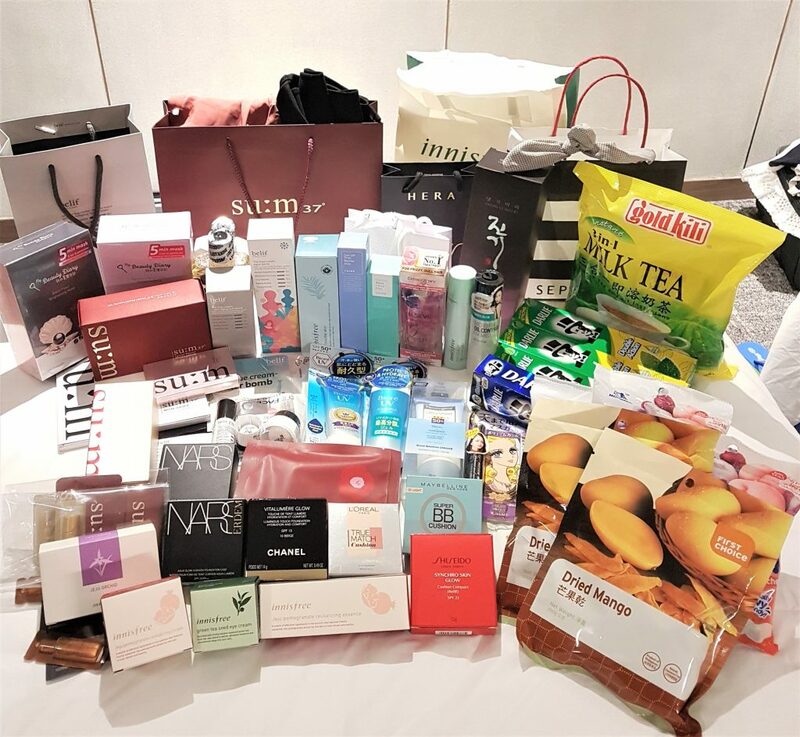 Popular K-beauty brands such as Laneige, Innisfree, Etude House, Belif, The Face Shop, Su:m37, Hera, Sulwhasoo etc usually have their own stores in shopping malls or their own beauty counters within department stores and they are just as generous with the samples as they are in Korea! Any UK people visiting – Singapore has Sephora! If you aren’t going to the USA anytime soon, it’s worth grabbing all your American brands here, which we don’t have easy access to in UK stores. Brands such as Tarte, Anastasia Beverley Hills, Becca, Kat Von D etc. are priced pretty much the same as the USA for the products I compared, or otherwise only a little more (depending on your exchange rate), which still makes it worth picking up rather than online where you can’t try products out. Now to the shopping haul! Considering I only bought 1 product, I sure did get alot of freebies! Su:m37 Secret Essence Advanced Sync Program – I love using FTEs in my skincare routine and I have held off trying this one for so long that I thought now seemed the time to try. I also preferred getting this in SG as they had the 70ml version which is cheaper than the 100ml and not as easily found online. Su:m37 Secret Repair Special Gift Set – promotional offer. Free with the purchase of the Secret Essence – contains toner, emulsion and concentrated cream from the Secret Repair line. Su:m37 Dear Flora Enchanted Lip Essential Balm Special Palette – signed up as a ‘member’ (which just means giving them your email address), and as it was my birthday month, I got given a little birthday gift which was really sweet of them. A brand that is very difficult to find online is Belif. This obviously isn’t the case if you live in the USA and have access to Sephora, but trying to get this brand in the UK without the crazy over-inflated online prices, is near impossible. Singapore however, have a good stock of Belif products and I found counters in a few shopping malls and department stores. Belif The True Cream – Aqua Bomb – got this in the larger jumbo size (125ml) which comes in a really beautifully designed squeeze tube that I much prefer over their regular jar. Used this before and liked it when I had it but wasn’t in love with it until I finished it, moved onto other creams and realised how much I did actually appreciate the aqua bomb. 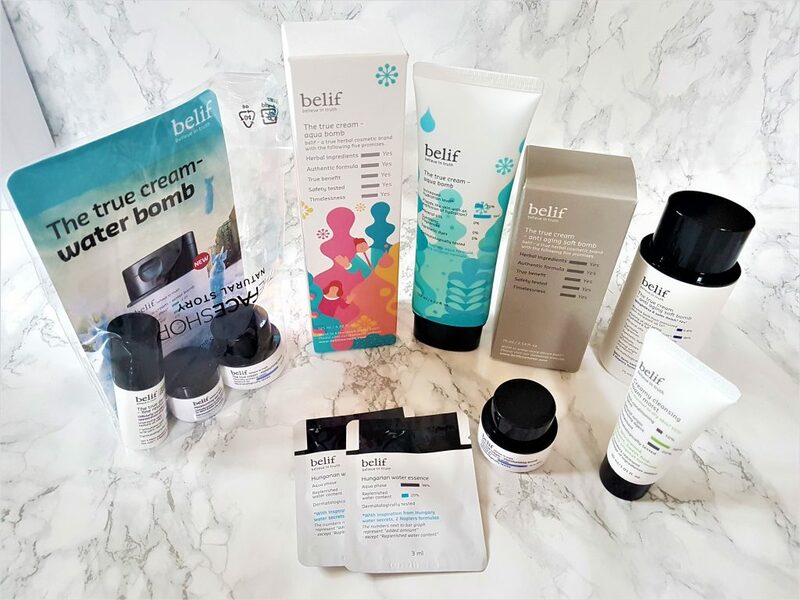 Belif The True Cream – Anti Aging Soft Bomb – a newer product that I’ve been eager to try for awhile! Belif creams never disappoint. Ah, good old Innisfree. 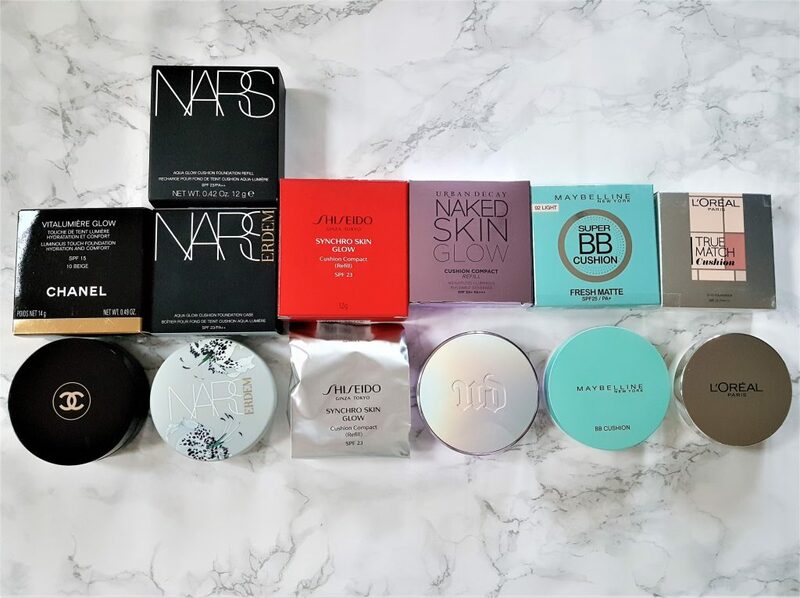 I always come back to this brand because their products always work well for me and I enjoy using trying all their different lines. Innisfree Bija Trouble Skin – I didn’t pack a toner with me and so I thought I’d give this one a try and see if it helps with breakouts. So far so good. 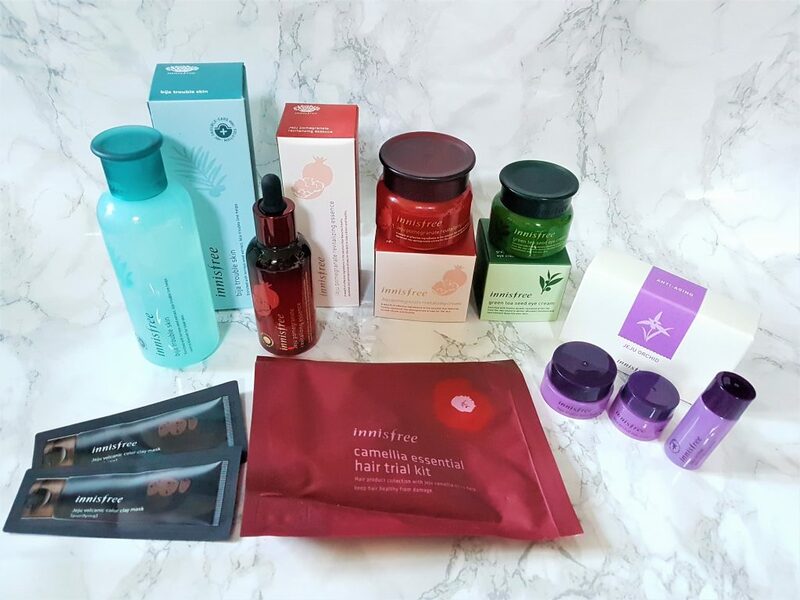 Innisfree Jeju Pomegranate Revitalizing Essence + Cream – this line really flies under the radar compared to the brand’s more popular lines such as the green tea and orchid line. I admit I’ve never noticed the pomegranate line until I saw it in store and tested it out. I was immediately sold and wanted to get the entire range of products because it smells AMAZING. Most Innisfree products tend to have that same scent, but this actually smells exactly like pomegranate and the essence and cream felt amazing on the skin so I grabbed both. Innisfree Green Tea Seed Eye Cream – as I couldn’t find the eye cream I planned to get in Belif, I went with this one because I’ve tried the green tea seed line before and its very moisturising which is just what I need for my under eye area in colder months. I do absolutely love the Perfect 9 eye cream from Innnisfree, but I wanted to try a different one before I eventually repurchase. If you’ve followed my Instagram and blog from the beginnning, you know my love of cushions and my crazy collection haha. I’ve actually been really good this year and not bought many but obviously seeing so many Asia-exclusive cushions in Singapore, it made it very hard to resist! Chanel Vitalumiere Glow – I actually got this flying out of Heathrow at duty free. I’ve been waiting for Chanel to release a proper cushion foundation for ages as I wasn’t keen on their Healthy Glow one which has super light coverage. Retail price is a hefty £43 though so I was grateful to pick it up for much less. If it’s anything like their Vitalumiere Aqua foundation, I will like this. Shiseido Syncro Skin Glow (Asia-exclusive) – this is the cushion version of the bottle foundation with the same name. I really like this foundation so of course I wanted to pick up the convenient cushion form and see if it’s exactly the same. I only picked the refill because the case wasn’t anything special and it is cheaper that way. Urban Decay Naked Skin Glow (Asia-exclusive) – this has been out in Singapore for over a year now and I don’t understand why UD doesn’t bring this over to the UK because it’s such a great cushion and I think many people would love it. I had a friend pick this up in Singapore for me when it first came out and during this trip I picked up the refill in Changi airport. For some reason I struggled to find the cushion being sold at any Sephora, but they do have it still on the Sephora website. Maybelline Super BB Cushion (Asia-exclusive) – Maybelline has 3 different types of cushions released in Asia – none of which are available in the UK. We only have the Dream Cushion foundation which I’ve never been interested in trying. I picked up the Super BB cushion from Watsons as it was on offer and got the fresh matte version because it apparently has the best coverage/longevity of the 3 and I love the green case. L’Oreal True Match Cushion (Asia-exclusive) – also on offer at Watsons, this is the cushion version of their popular True Match foundation. We only have the Magique version in the UK and I’ve enjoyed using that in the past (review here) so I expect good things from this one. I love a good Watsons haul. It’s basically Asia’s best drugstore (similar in concept to our Boots or Superdrugs) only so much better because they stock a lot more brands from both East and Western brands. 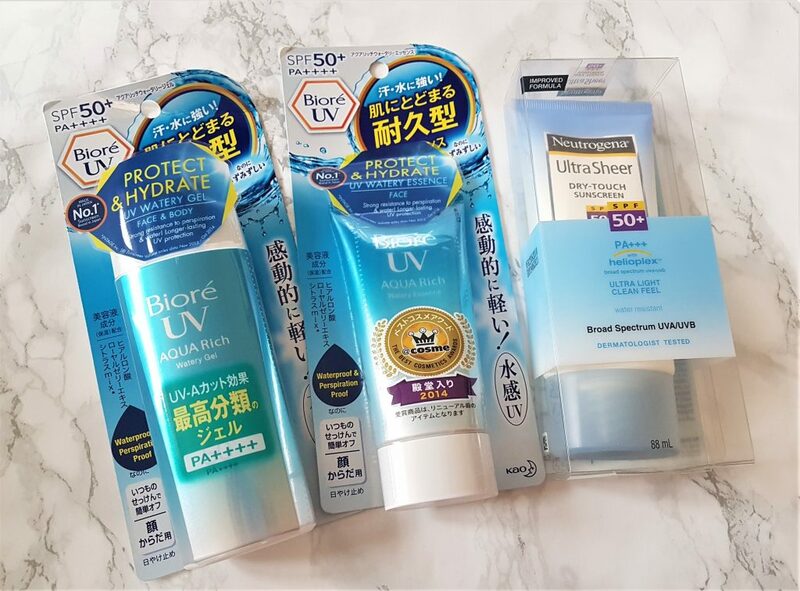 Sunscreen from Biore and Neutrogena – Biore from Japan have some of the best sunscreens around and are super popular for good reason. I highly recommend picking some up if you’re in Asia. If you hate using sunscreens, these will definitely change how you think of them. Biore UV Aqua Rich Watery Gel – ideal for both face and body. I don’t have a good body sunscreen so I may have found the one. 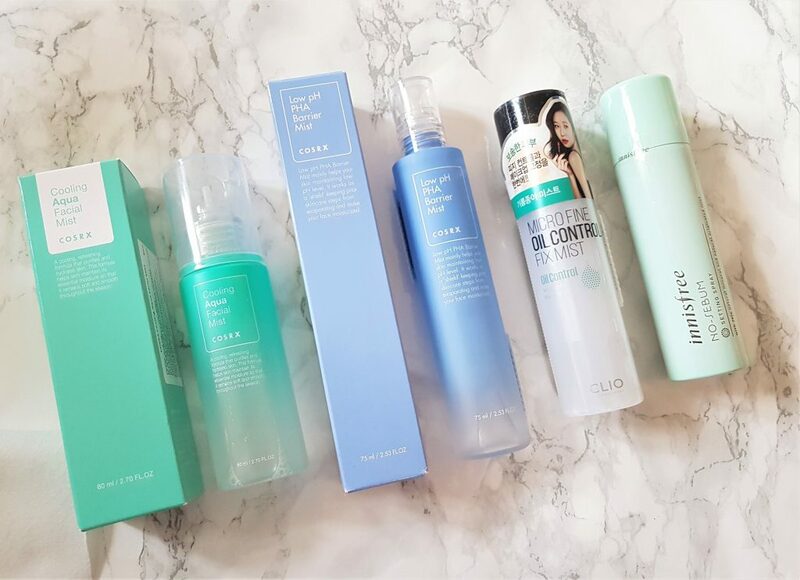 Biore UV Aqua Rich Watery Essence – this has cult status among Asian beauty enthusiasts and was recently reformulated. I’ve not tried the new version but I hope I still like it as much as the old one. Neutrogena UltraSheer Dry-Touch Sunscreen – introduced my mum to this years ago before I switched to Asian sunscreens and she still enjoys using this one so I got her a backup as its not sold in Europe due to stricter sunscreen filter regulations. I don’t know why I went on a random face mist craze but I picked up 4 this trip. I’ve seen the Cosrx ones sold online on Jolse and never been interested but in person I guess I just got enticed by the pretty pastel colours haha. Innisfree No-Sebum Setting Spray – I actually got this at Innisfree not Watson, but I wanted to see if their setting spray is any good because its super affordable. My Beauty Diary Black Pearl Brightening Masks – these Taiwan brand sheet masks are the absolute gold standard in sheet masks for me. 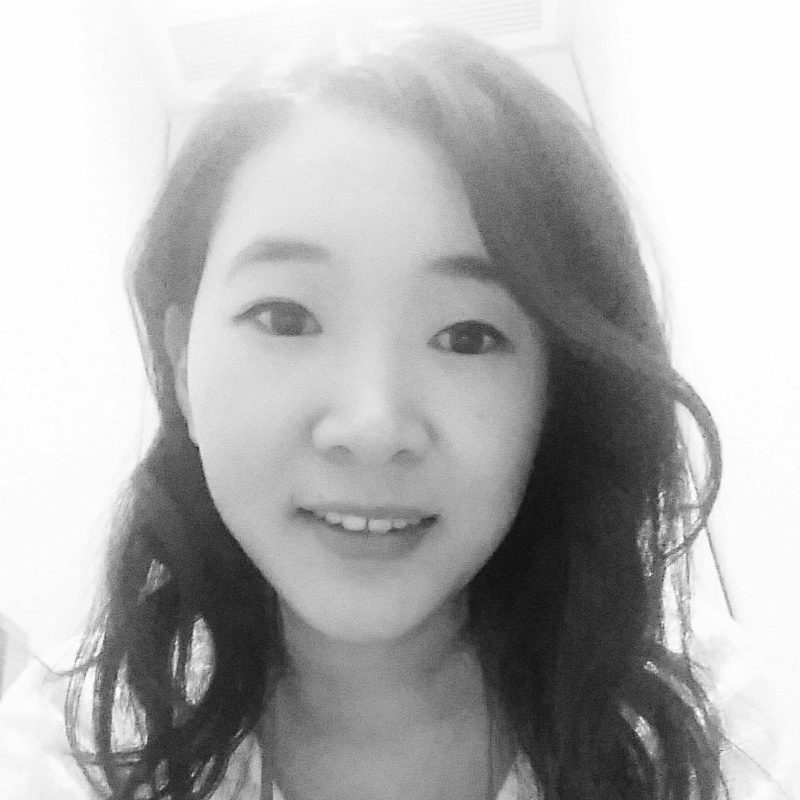 They beat any other Korean ones I tried; they’re comfortable, a great fit and I see instant results. Daeng Gi Meo Ri – Korean traditional herbal shampoo that is super effective for reducing hair loss. Gift for my mum for Christmas. Listerine (Ginger and Natural lemon + Salt) – I’m always fascinated by the exotic flavours that Asia has of products that we also have in the UK. Why does the UK only ever get generic boring flavours of things? Heroine Make Mascara – I’ve heard so many gushing reviews for this mascara over the years and despite the cutesy packaging, this apparently is a serious, heavy duty mascara that does not budge and works great for Asian eyelashes. L’Oreal Elseve Extraordinary Rose Oil – for frizzy hair – as Singapore is such a humid country, I noticed that the drugstores carry a lot of products aimed at frizzy hair. I wished they had this many options in the UK. I noticed especially that L’Oreal has a lot of hair care products that I’ve never seen here and I didn’t even know where to begin choosing. I did pick up this oil for frizzy hair in the end as it seemed to be newly released, on offer and I was captivated by the real rose flower inside the bottle. Guardian Facial Cotton – it may seem insignificant to most people, but I hate the facial cottons that you get in UK drugstores. They are always so thick and absorb all your product such as toner, rather than depositing it on your face. I always love to stock up on Asian facial cottons because they just do it so right. They are more bang for your buck, you get sooo many pieces for such a cheap price and they aren’t too thick and are so soft on your skin. 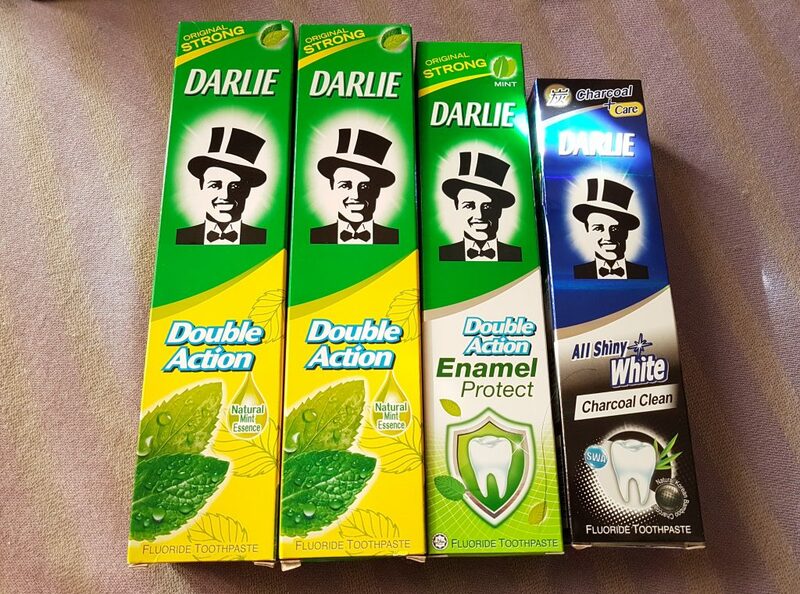 Darlie Toothpaste – yes, I have a favourite toothpaste and nothing comes close to Darlie. I love using this brand and my parents always stock me up when they go to Malaysia. My problem I have with toothpaste like Colgate and Sensodyne etc is that their taste is so weak! I like a strong minty taste and feeling like I really have brushed my teeth and refreshed my breath. Darlie gives me that feeling and is very long lasting and no other toothpaste measures up so I made sure to stock up when I saw Darlie on offer in Watsons. I never realised they had so many different varieties too and was intrigued by the charcoal one. I never think whitening toothpaste makes much difference but charcoal is known as an effective way to whiten/clean teeth. Darlie toothpaste is the best! I can’t use any other brand. 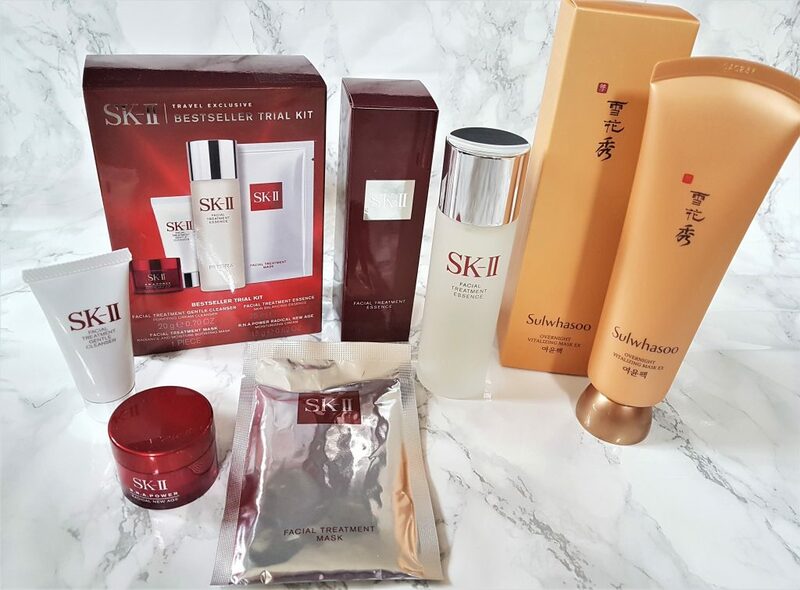 SK-II Bestseller Trial Kit (Travel Exclusive) – I’ve always wanted to try the OG of first treatment essences but never taken the plunge as SK-II is just so darn expensive. However I thought it was good value to get the trial kit at duty free because it comes with a decent sized 75ml of the facial treatment essence, in addition to being able to try some of their other products including their sheet mask, cleanser and moisturizing cream. Sulwhasoo Overnight Vitalizing Mask EX – another cult product that has rave reviews from everyone that tries it and that I’ve been wanting for awhile. I finally got it after comparing it to online prices and saw that with the current duty free price + a promotional offer of 15% off, this was a total steal at Changi Airport! 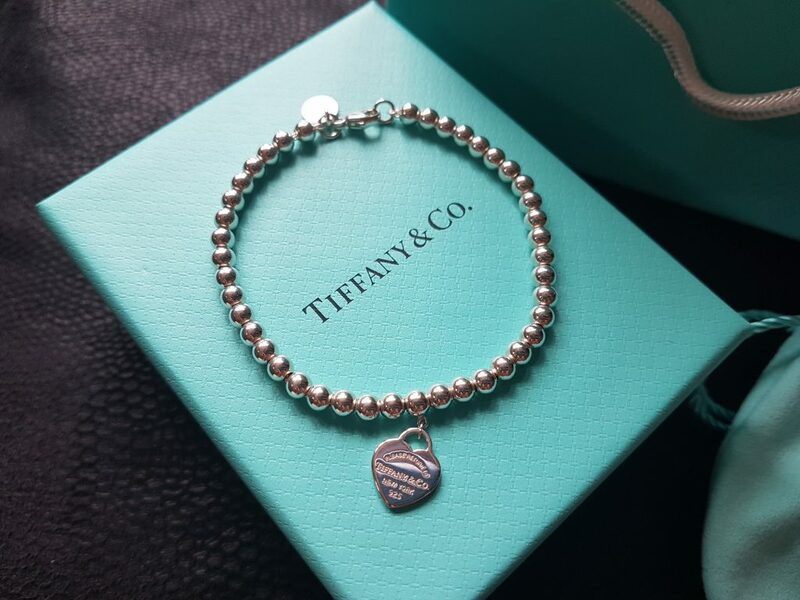 Tiffany bread bracelet – I got this from Heathrow airport on my way out to Singapore. I initially wanted to transfer terminals to get a wallet at the T5 Dior store but I couldn’t do this at the last minute so decided to spend my birthday money on a little Tiffany treat for myself. I like dainty jewellery and this bracelet is a great fit for my skinny wrist; simple yet elegant, cute and perfect to wear everyday. So that is the majority of what I bought during my Singapore trip. 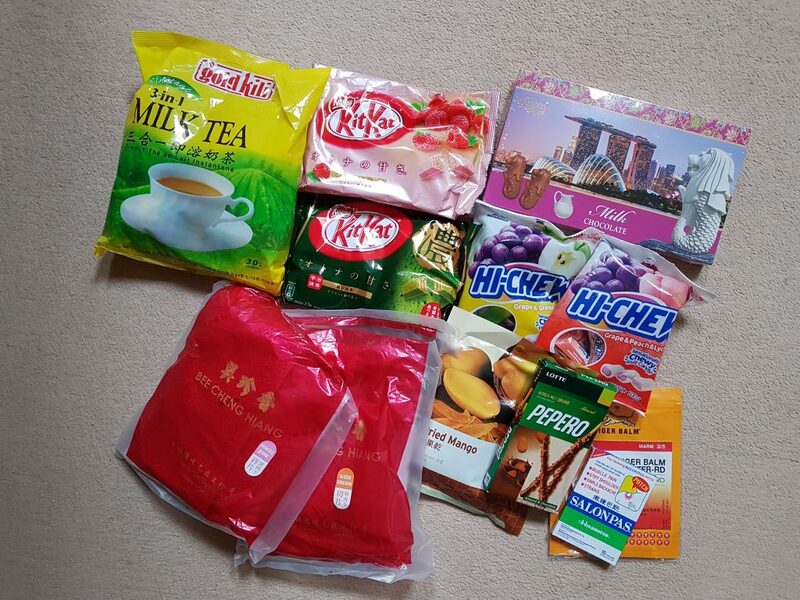 I also got some snacks and treats that I always crave when I go to Asia and overall I had a fantastic time! I love Singapore too and what a fabulous haul, so hard to resist the choice of things that we dont get here in Australia. When I travel in Asia there’s usually half a dozen packets of that Biore watery essense in my bag coming home, I’ve used it every day for years and havn’t found anything that works so well or agrees with my skin like it does. I want to get a selection of Su:M37 to test out next time, it sounds interesting. Yeah I just love stocking up on things you can get abroad that you can’t get at home. Biore is great I agree, but Klairs sunscreen is also similar and gentle for the skin if you ever need an alternative.